The Yamaha flagship, the YZF-R1 is long due for an overhaul, we expected it last year but for sure it looks like this will be the year. 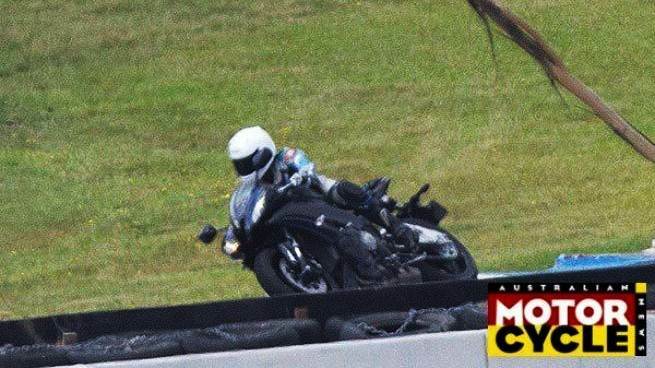 The new Yamaha R1 has been spotted testing yet again, yet again because this same motorcycle was spotted testing in March last year. According to the photographer it was the new R1 being tested under the fairings of the R6. We all expected it to be a 2014 model, but now hopes are running high that it will be a 2015 model and will be unveiled at the Intermot later this year. There has been quite a few speculations and rumors that came up when the it was spotted the last time, from being a 3 cylinder to getting a dual clutch transmission. This time around some of these have been proved wrong but certainly a few new ones have been added. The 3 cylinder train of thought has been totally thrown out of the window, the DCT probability stays. The new 2015 Yamaha R1 is expected to be lighter, look somewhat similar to the current R6. It is in fact expected to loose its almost iconic under seat exhaust, in a bid for better mass centralization. But the best rumor so far is that it will be available in 2 versions. One of course the road going version with a host of new and updated electronics, the second is that there could be factory version of sorts that will produce as much as 230 HP. Now that’s come crazy numbers right there. Its already been a long wait, and to be really honest, all we want is a lighter bike, with a better electronics package, the rest were almost near perfect already.